- Began in 1996. We now have hundreds of systems across Canada. Ready to grow distribution network Internationally. - Entered the US and European markets in 2005. Over 100 Systems in France and Italy are already being used. - World automated refraction is at the beginning stage of high growth. 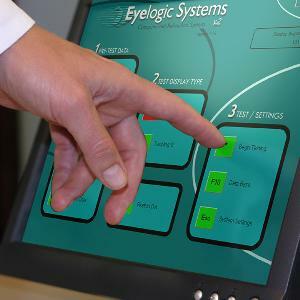 - Eyelogic has patents on a specific method for performing a truly automated refraction. The easy, consistent and intelligent process can be performed by unskilled users. - The cylinder/axis test is also patented and is easier, faster and more accurate than all other methods. - Fully documented refraction process. - Flexible pre-test instrument configuration, over 10 different manufacturers interfaced. - ISO 13485:2003 certified and CE marked. Company Name: Eyelogic Systems Inc.